The Computational Biology Group is a young research team. One of our primary interests is to contribute to a better understanding of the epigenetic control of transcription. To do this, we are developing methods for the analysis of big and multidimensional biological data sets. Our work is highly collaborative and we are and have been a member of several high-profile national and international consortia such as the International Cancer Genome Consortium (ICGC) or the BLUEPRINT Consortium. Below we have highlighted some of our research interests. The integration of epigenetic information including DNA-methylation and histone modification data with transcriptomics, provides new insights into the mechanisms of epigenetic control. 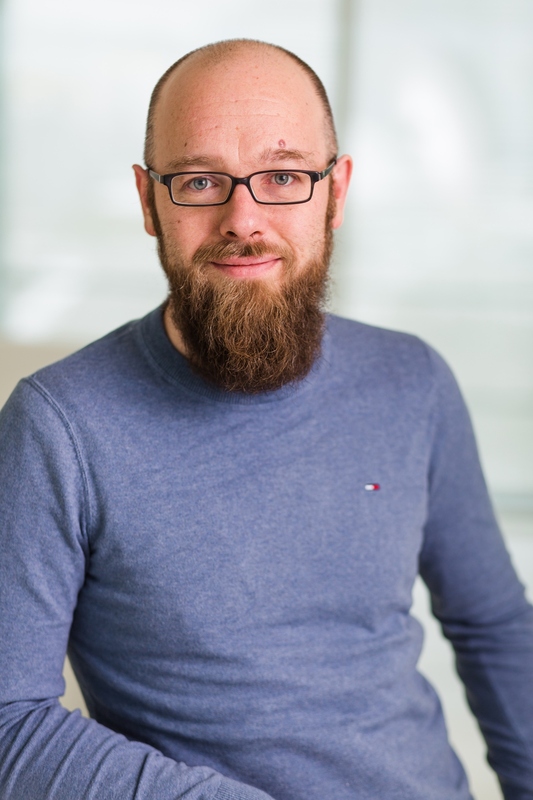 As a part of the German ICGC-MMMLSeq and ICGC-DE-mining consortia as well as the HNPCCSys and BLUEPRINT consortia, we help to analyze hundreds of datasets from various tumor types. Our goal is the identification of common epigenomic mechanisms shared by many tissues, e.g. differentially methylated regions (DMRs). Figure 1: (a) Several data layers for the SMARCA4 gene. Top: chromatin segments. Center: methylation rates. Bottom: RNA expression. Burkitt Lymphoma (BL) has low methylation and high expression and shows active segments in the chromatin segmentation. (b) Radar plot showing enriched binding sites for 46 transcription factors in cDMRs. Quadrants show cDMRs classified by correlation type (positive or negative) and the direction of methylation and expression in BL versus Follicular Lymphoma (LF). Negatively and positively correlating DMR-gene pairs are located in quadrants 2 and 4 and in quadrants 1 and 3, respectively. Concentric circles indicate levels of transcription factor binding site (TFBS) enrichment measured as the percentage of binding sites of a particular transcription factor found in cDMRs relative to all binding sites of this transcription factor found in DMRs. Asterisks indicate transcription factor binding sites that are significantly enriched (P < 0.05, permutation test) in cDMRs. Red asterisks indicate the ten transcription factors showing the best correlation of transcription factor and average target gene expression. Methylated DNA is one of the main epigenetic modifications. We implemented the functionality to map bisulfite sequencing derived reads (Otto et al., 2013) into our alignment software Segemehl (Hoffmann et al., 2009). This enables easy translation of read numbers into methylation levels. Figure 2: Bisulfite treated DNA-Sequencing to determine methylation rates results in four different types of reads. To identify significantly different methylation levels between certain conditions and among larger numbers of samples, we developed a program called metilene (Juehling et al., 2016). This software is able to rapidly identify differentially methylated regions (DMRs) with high confidence. 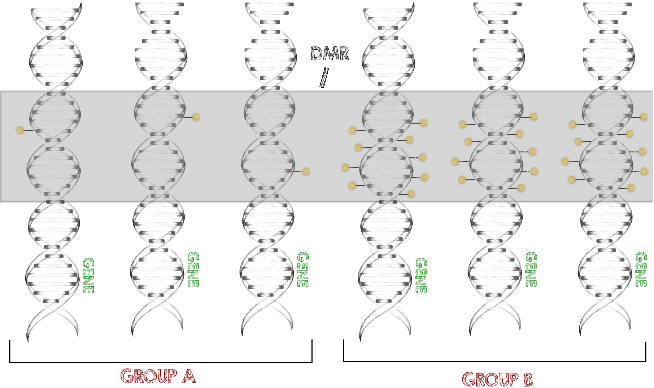 Figure 3: Two groups displaying differential methylation (yellow spheres) and DMRs (grey regions). In RNA-Sequencing, reads originate from mRNAs or ncRNAs and can span exon junctions. The biological process leading to exon junctions is called splicing. We have extended our alignment software Segemehl with an algorithm to handle and to report splicing events. To detect alternative splicing events that play a major role in differentiation and diseases, we developed the software DIEGO (Doose et al., 2017). The results of DIEGO have been crucial for a number of our publications on lymphoma. Figure 4: Differential splicing displayed using Aichison's geometry (left). Varying splicing events between two samples (control and cancer) displayed as Sashimi plot (right). Recently, we analyzed bivalent chromatin states in cancer. This bivalent (poised or paused) chromatin comprises activating and repressing histone modifications at the same location i.e. promoter or enhancer regions. Specific combinations of epigenetic marks keep gene expression low but poise genes for rapid activation. Typically, DNA at bivalent promoters is lowly methylated in normal cells, but frequently show elevated methylation levels in cancer samples. We were able to propose a universal classifier built from chromatin data that is able to identify cancer samples solely from hypermethylation of bivalent chromatin. Tested on more than 7,000 DNA methylation data sets from several cancer types, it reaches an area under the curve (AUC) of 0.92. Although higher levels of DNA methylation are often associated with transcriptional silencing, counter-intuitive positive statistical dependencies between DNA methylation and expression levels have been reported previously. The re-analysis of combined expression and DNA methylation data sets from over 5,000 samples demonstrated the surprising coincidence that hypermethylation of bivalent chromatin and up-regulation of the corresponding genes is a general phenomenon in cancer. Such events affect many developmental genes and transcription factors, including dozens of homeobox genes and other genes implicated in the transcriptional landscape of cancer cells. Thus, we conclude that the disturbance of bivalent chromatin may be intimately linked to tumorigenesis. Figure 5: Up-regulation of genes under bivalent control in cancer tissues. Scatter plots of DNA methylation change versus expression change for significantly differentially expressed genes associated to frequently bivalent segments (FBS; left) and controls: Active promoter background (center) and chromatin bivalent in embryonic stem cells (ESC) exclusively (right).